Surpassing the two-million user mark before completing its first year of service, Combat Arms excels by offering players a variety of combat styles and game maps, complete with eye-catching graphics, customized characters, and more. Combat Arms also features a high level of socialization with its Buddy Lists, Community Support, In-game Clan System and more. This essential mix of elements represents a truly unique offering in the world of first-person shooters: a dynamic, ever-evolving game that encourages both friendly competition and individual expression. How on earth does Nexon make money, given that the environment and full game play is free? I downloaded the game files (around 2Gb Compressed) and installed it on my home laptop to have a go. The attractions to have a closer look were driven around the structured setup of its non game environment – a very established You Tube Community Channel, numerous fan sites which feed in particular aspects to the game – weapons reviews, map reviews, interviews with players are all prominent activities which are heavily focused upon. Addressing the first question – How on earth does Nexon make money, given that the environment and the full game play is free? At time of writing, there were some 3.5 million registered players. For a framework, the game enforces a ranking system upon players which reflects the US Military e.g. Trainee, Recruit, Private, Corporate, Sergeant, Staff Sergeant (3 levels), Sgt First Class (3 levels), Master Sergeant (3 levels), Command Master Sergeant (4 levels), Lieutenant etc etc. Playing the game you gain experience and are awarded “Experience Points” which are calculated on the number of kills you gain in each match. Matchplay is classic One Man Army, Team Elimination with a set target of team kills, Elimination Pro, which is a last man standing team scenario, Capture the Flag, Search & Destroy, Bombing Run & Seize & Secure. As you accrue more points, this contributes to your overall ability to “rank up”. In addition, the game also allocates “Gear Points” or GP which you can use to acquire virtual in game weapons, armour, support items etc. If you stick entirely to the GP, you can have a competitive existence. An example is if you kill say 20 people in a game, you’ll get around 200 Experience Points and around 150 GP. To buy a M6A2 SRT Assault Rifle for 24 hours, would cost you around 1,100 GP. This is a really good way to stay free and competitive, however Combat Arms at time of writing had over 150 different weapons, ranging across the different types including Assault Rifles, Sniper Rifles, Sub Machine Guns, Machine Guns, Shotguns, RPG’s, Pistols & Grenades of varying types. So this is how Nexon makes their money. For these different range of weapons that are beyond the scope of being able to procure by way of the GP you collect along the way, Nexon lists a special set of weapons and upgrades and designates them as Rare, Restricted or only available by lucky chance (Hazard Cases, etc). As a consequence alot of these items are available to be purchased for varying amounts of time from one day up to permanent with REAL money, using the concept of NX, which is Nexon’s Virtual Cash World. At time of writing, 30,000 NX = $30 USD, which you’d bill to your credit card via their secure gateway. As an example, you can buy usage for 24 hours of an M39 EMR Desert Sniper Rifle which would cost you 990NX. Permanent ownership of the same weapon would cost you 24,900 NX. in real world terms, this is roughtly $1 dollar and $25 dollars respectively. Ownership of these weapons and other items is driven around that concept of personalisation – each player can tailor what they look like, what armour/uniform they wear, the weapons they carry, helmets, face masks, combat vests etc. 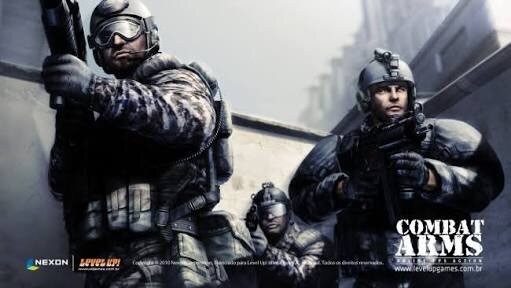 If you consider purchasing a boxed software variant like CounterStrike, Bad Company 2 or Ghost Recon will set you back around $100, than suddenly purchasing unique weapons which you “keep” doesn’t seem like such a silly idea, particularly because the game environment is constantly getting updated with additional maps, game modes and a concerted pursuit against hackers. In the clan I’ve joined, predominantly made up of people over the age of 25, some of the guys have spent upwards of $1,500+ (!!!!) on weapons, uniform upgrades (armour vests, anti flash grenade glasses, goggles), character upgrades (restricted in game characters) and support gear (air strike designators, mines, proximity explosives). Believe me, Nexon make shed loads of money from selling these “virtual” items. Good on them. As a byproduct, the gameplay and interest for myself has been compelling.